The sensor in the air box is the air intake temp sensor, you can stick it anwhere withing the intake tubing, or as i did leave it hanging around anywhere. The MAF does need to be inline on the intake. 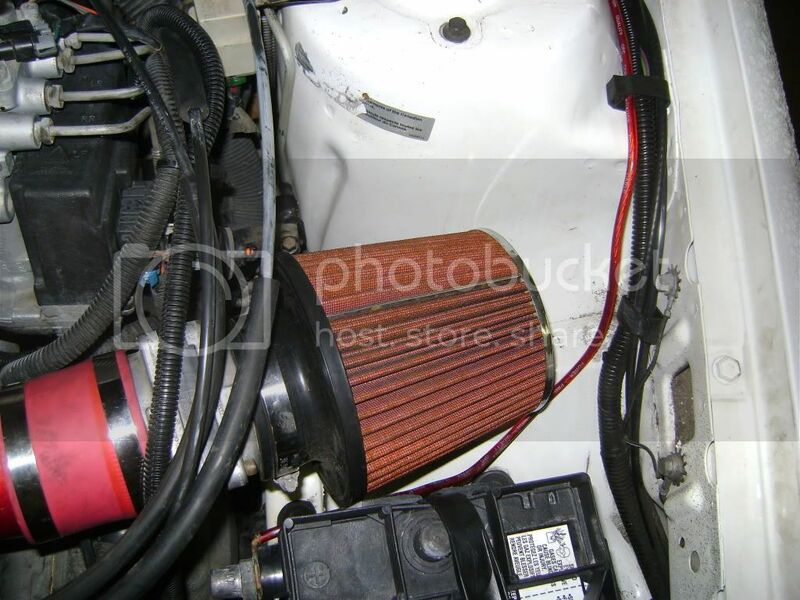 I just used piping from various cai i had laying around, i actually have it so it goes down the hole beside the battery and the filter sits inside the fender but i take it off for colder weather and just leave it short ram. Might as well grab a 3400 throttle body while your upgrading the filter/intake at the same time will give you a slight notice in throttle response. I actually have the Air Intake Sensor dead center in the end of my filter now, i dont think it makes much difference if your pulling air from the engine bay if you leave the sensor hanging, if its true cold air from outside the engine bay then i can see it having to be in there to get correct readings. Thanks for the responce man. Now i can do how i wanted. 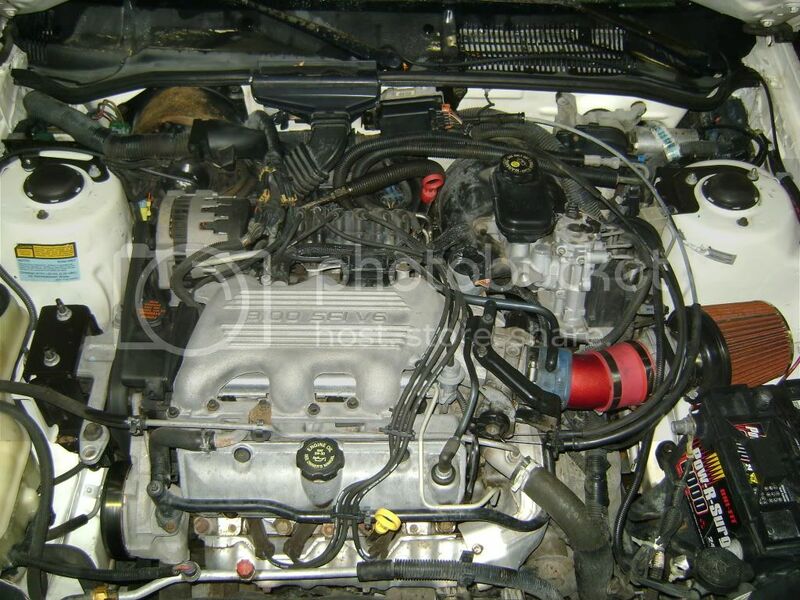 Im going to do a short ram and put a scoop over the intake and cut the hood out. Is the tb from a 3400 plug and play? You will have to swap the linkage but other than that it's the same. idk about the motor swap. its my daily. main reason i bought it was to save gas going back and forth from ohio to pennsyltucky and still have a little fun doing so. anyways, about that solor wing: pics? what does a set up like that cost? sounds cool. I am simply curious as to how you decided to ask this question. I'm not sure that it is typical at all to install solar wings... Just seems like an odd question. googled the solar wing, really want the rear window louver that covers the whole window. thanks for suggestion though. if i cant find a louver, maybe the solar wing would be ok.
That's kinda 1990BerettaGTZ2.3L's thing, to go off-topic as much as possible! Maybe he has A-D-D? IDK? Wouldn't make much sense to remove the windshield washer reservoir on a daily driver, would it? Or to go through the hassle of relocating the battery. He could get one of Ryan's intakes and keep both. Or he could just put a piece of pipe and a couple of couplers in for the short intake. Just gotta see what fits. I wouldn't recommend leaving the IAT just hanging around either. it's not hard to drill a hole and buy a grommet. snowblindburd wrote: Wouldn't make much sense to remove the windshield washer reservoir on a daily driver, would it? Or to go through the hassle of relocating the battery. He could get one of Ryan's intakes and keep both. Or he could just put a piece of pipe and a couple of couplers in for the short intake. Just gotta see what fits. My point exactly. It's there for a reason.